RK Series first 6th gen aircraft, its not stealth, and its not supermaneuverable, who needs either if no one has a missile that can catch you? In all seriousness, this is a seriously fast aircraft with a serious attitude. 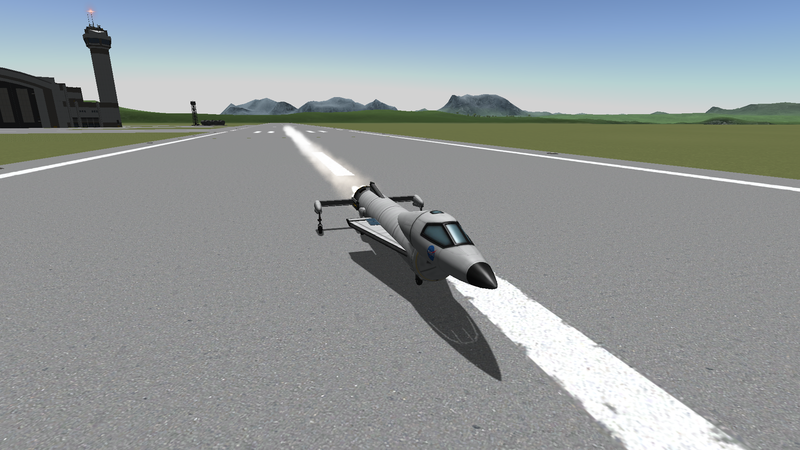 Don’t exceed mach 4.1 unless you are above 14,500m, with the radiator enabled, and to airbreak deploy the docking port on the front of the craft. Have fun landing, it’s kinda hard, but treat it like a carrier landing, and leave room to break, because you’re going to be coming in hot both literally and figuratively. A stock aircraft called Rk12. Built with 33 of the finest parts, its root part is Mark1Cockpit.